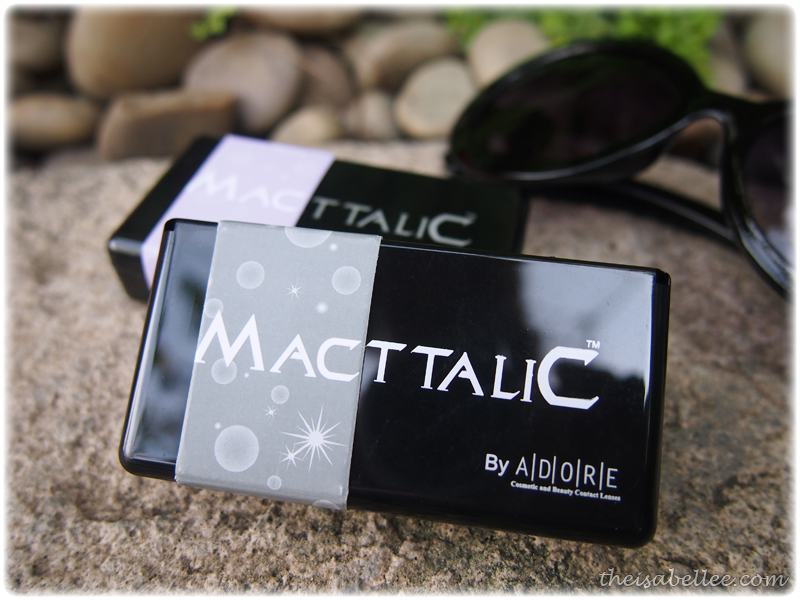 The brand which brought you the Imagene Lenses now has a new range - Macttalic! Out of the 5 colours, I picked Grey & Amethyst. I think the colour on the poster is not very accurate though =/ The Amethyst looks more blue toned IRL. 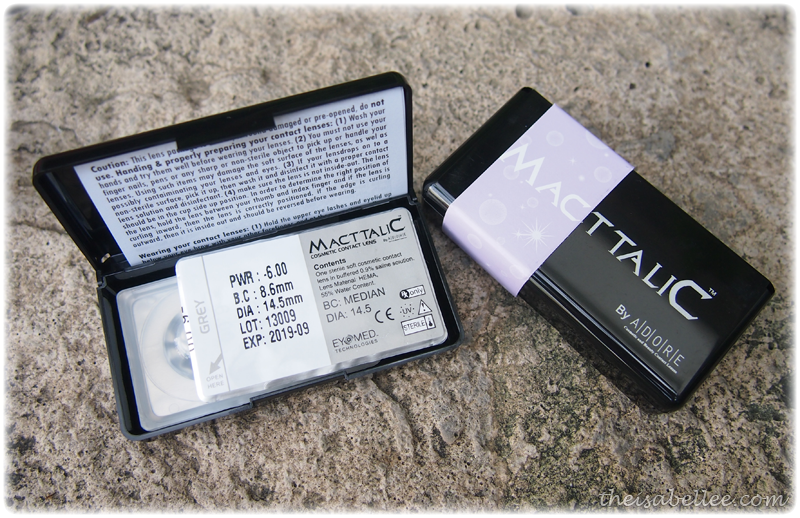 While the 14.5 mm diameter is not too scary, it offers quite an enlarging effect for my small eyes. The Grey looks slightly bluish sometimes, with a yellow-brown middle ring. The design itself is natural looking. Complemented the blue tone with blue eyeliner using Sleek! 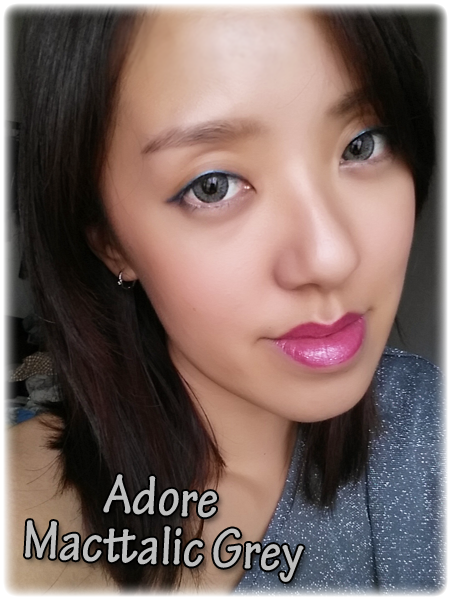 I've blogged about how you can get this blue eyeliner. Overall, the lenses are not bad. They're comfortable to wear and don't dry out too soon. Can't wait to try out the Amethyst ones once this pair expires! You can get the lenses at Focus Point!